We have set a benchmark in the industry for supplying and exporting Aluminum Herb Grinders. The company has a well established and respected by high end customer in providing them with Aluminum Pollinator Grinder. This is a heavy duty and yet lightweight grinder that is so strong to even grind hard spices such as nutmeg and other pollinators. 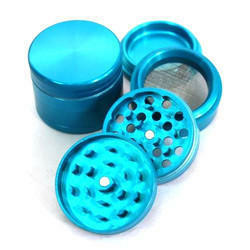 Moreover the use of aluminum metal in this grinder has made them non-stick, so that these can be used for herb too. We welcome you to the world of classic fine art, it is unique collection in the bong category. Keeping the diverse demands and needs of customers in mind, our organization is involved in offering a supreme quality array of Aluminum Grinders to our clients. We are Leading Manufacturer of Smoking grinders leaf sticker design . We are offering Aluminium Herb Grinder to our client. True Herb Crusher is one the most and regular used product. Extremely 4 Part, beautiful design, durable (handle with care) and comes in high range of colors. Large size makes it more impressive and easy to use. With thorough expertise and understanding of this industry, we are enormously involved in offering a quality assured range of Aluminium Grinders . Offering a vast range of Aluminum Herb Grinder, these are widely used for the grinding of various sorts of herbs. 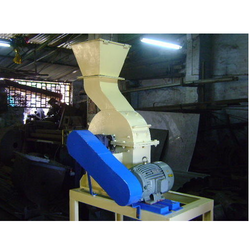 To ensure hygienic grinding of the herbs, we use qualitative and pretreated metal in its fabrication. Our range Aluminum Herb Grinder are available in varied models and capacities. We are enlisted amongst the leading names in the industry offering our clients wide range of Aluminium Grinder .